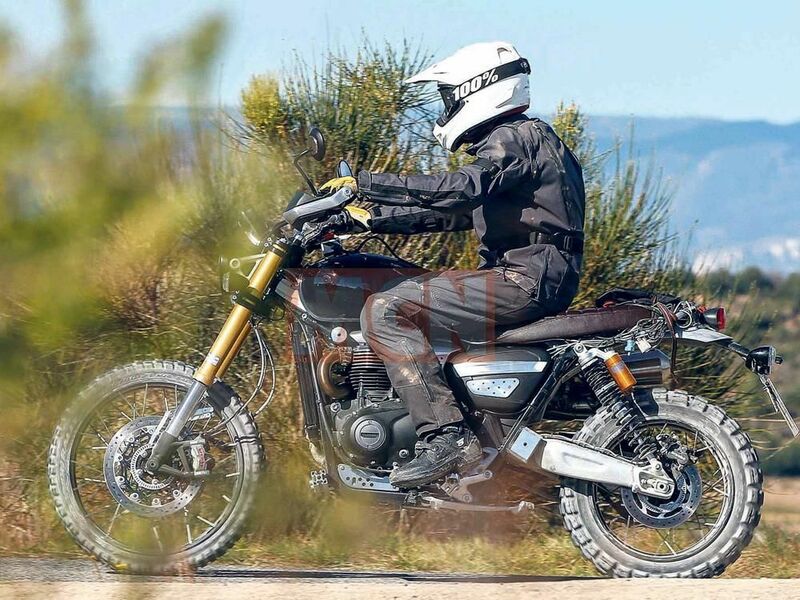 I like the scrambler but the 1200 looks like it's actually capable of proper off road so will be too tall for me. I'm looking forward to the launch on 24th October, and a visit to the bike show this year for a sit on it. The wheels look about right imo 21"/18" Just going off the discs, that rear might be a 17". All depends on, the weight, seat height & seat to peg, for me. Guarantee it'll be too heavy & too high. Unlikely to be sub 200kg with max 820mm seat. And a WR250 will leave it in the dust.